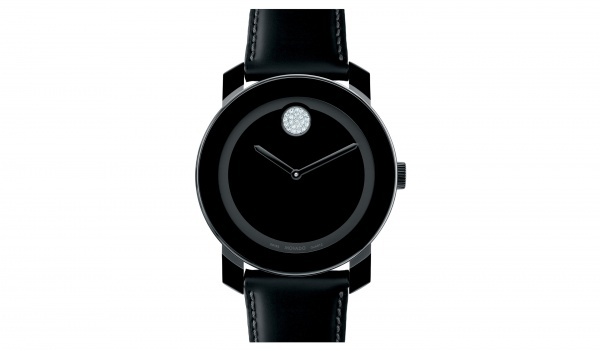 Don’t be caught with a child’s watch when you suit up – pick up something masculine, yet restrained, with this Large Bold watch from Movado, featuring a Swarovski crystal marker. Luxe, yet refined. Decadent, yet understated, this piece is water resistant to 30 ATM, and features a slim, elegant design. Available online now. This entry was posted in Accessories and tagged ATM, Large Bold. Bookmark the permalink.